EURASLIC XVIII – Registration and abstract submission open! Registration and abstract submission for 18th Biennial Conference of the European Association of Aquatic Sciences Libraries and Information Centres are open now. Submissions may be made for oral presentations, country/institutional reports or posters. Our final post for #IAMSLICUganda’s Presenter Profile Series features Caroline Kobusingye and Onan Mulumba. We hope you enjoyed this year’s Presenter Profile Series and we look forward to sharing more about our amazing presenters next year for the 45th IAMSLIC Conference in Port Aransas, TX, USA! Caroline is a Country Focal Point of the UN – Technology Bank Project, Uganda. She is the National E-resources Coordinator for the Consortium of Uganda University Libraries (CUUL) and, Head of the Periodicals Section at Makerere University Library. As the e-resources coordinator, she oversees the country’s e-resources activities which include: licensing and negotiations with the publishers, marketing and promoting the usage, trouble shooting to ensure that institutions have seamless access to e-resources, monitoring and evaluation of the usage, organizing and facilitating information literacy workshops among others. She holds a Bachelor’s Degree in Library and information Science and a Masters of Science in Information Science. Onan Mulumba is a Country Focal Point of the UN – Technology Bank Project in Uganda. Additionally he is an Agricultural Librarian and the Head of the Agricultural Libraries at Makerere University, Uganda. Onan is ex-Research4Life users’ representative on the Executive Council and Winner of Research4Life Unsung Heroes award 2013. He holds a Bachelor’s Degree in Biological Sciences and a Master’s Degree in Information Science. Abstract: In 2016, the United Nations General Assembly officially established the Technology Bank Project aimed at supporting and strengthening Science, Technology and Innovations in selected Least Developed Countries (LDCs). 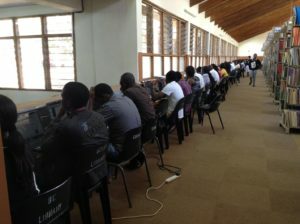 The focus area of the project was to promote digital access to research and technology in LDCs. Working in partnership with research4life, a partnership of 5 UN agencies (WHO, FAO, WIPO, ILO, UNEP), highly rated science publishers, Cornell and Yale Universities, that have been providing free access to global academic research through the five research4life programmes, as well as, in Collaboration with the Uganda Focal Persons, the Technology Bank aims to achieve its objective. This presentation, therefore, will aim at expanding awareness of the project activities in Uganda, the mode and scope of operation, and to build a partnership base through which the project will enhance research, technology and innovation in Uganda. Next on our Presenter Profile Series we have Coffi Ferdinando Rock GBEDO. My name is Coffi Ferdinando Rock GBEDO from Benin Republic. I’m 30 years old and a holder of a bachelor degree in archival sciences (2013) and four years degree in library and information sciences (2016). I’m fonds of foreign languages and apart from French our official language, I’m capable to speak fluently English and a little German and Japanese. My career in the domain started in november 2014 after my recruitment by Benin’s government. Since then, I’ve been working as a librarian at Benin Institute for Halieutic and Oceanographic Research (IRHOB). I’m also a volunteer at Drabo Public Library where I work every staturday from 9h-13h. Drabo Public Library is working for sustaining the United Nations Sustainable Development Goals and the African Union 2063 Agenda in the community. As a volunteer at a public library, I have the opportunity to attend the Strengthening Innovative Library Leaders workshop organized by African Library and Information Institutions and Associations (AFLIA) in Yaoundé on may 2017. It was also an opportunity to particpate in 4th African Library Summit and 2nd Conference of AFLIA at Djeuga Palace Hotel, Yaoundé, Cameroon. Since march 2018, I’m part of the second cohort of the Program, International Network of Emerging Library Innovators – Sub-Saharan Africa (INELI-SSAF). From 2 to 7 july 2018, I attended the 3rd African Public Library Summit and the Roundtable of African Ministers in charged of public libraries at INKOSI LUTHULI International Convention Centre, Durban – South Africa. Title: Access to marine and aquatic sciences information in the Benin Republic. Abstract: Information production in our societies is getting more and more breathtaking. In Benin Republic, Marine and aquatic information is produced by many organizations such as the Ministry of Agriculture and Fishery, Institut de Recherches Halieutiques et Océanologiques du Bénin (IRHOB), Faculty of Sciences and Technic of Abomey-Calavi University, etc. It is clear that the functioning of those institutions will be affected by diverse types of information. What do we do to meet the growing information needs of these users? This paper lays emphasis on tactics used by the library of Benin Institute for Halieutic and Oceanographic Research (IRHOB) not only in following the national rhythm of information production in the field but also in providing its users with the appropriate information. Second up today we have Maria Kalentsits. Learn more about this #IAMSLICUganda presenter below. 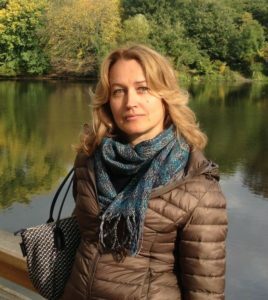 Maria Kalentsits has been working with the ASFA Secretariat since 2015. Her previous assignments were with the Estonian Marine Institute as a librarian and with the University of the South Pacific (Fiji) as a Coordinator of the Pacific Islands Marine Resources Information System (PIMRIS). Prior to joining the ASFA Secretariat, she worked for FAO as the Fisheries Librarian between 2011 and 2015. Within the ASFA Secretariat, Maria is currently carrying out essential duties of the ASFA Editor-in-Chief. Maria was the IAMSLIC President in 2012-2013 and hosted two IAMSLIC conferences – in 2008 (USP/PIMRIS, Suva, Fiji) and 2015 (FAO, Rome, Italy). She is representing FAO/ASFA at the Aquatic Commons Board and is a member of the FAO-IAMSLIC Joint Activities Group. ASFA partnership and evolving information needs in the aquatic and fisheries sector. Maria likes gardening, reading and swimming. Abstract: The co-operation between FAO and IAMSLIC is developed based on the Memorandum of Understanding signed by these organizations back in 2005. The presentation will report on the state of activities of mutual interest that ASFA is involved in. A brief overview of transitional changes that ASFA is proposing will be provided. Wow! Day 1 of #IAMSLICUganda has already begun! We have had a few more presenter profiles come in, so don’t forget to check our Presenter Profile Series as we post our last few profiles today. To start off today we are featuring Arame Keita, head of the Documentation and Information Unit of the Marine fisheries Department under the Ministry of Fishery and Marine Economy in Senegal. 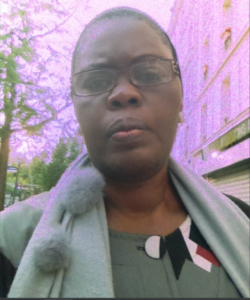 Arame G. Ndiaye Keita is acting as the head of the Documentation and Information Unit of the Marine fisheries Department under the Ministry of Fishery and Marine Economy in Senegal and has been there for many years. She holds an MLIS from the University Cheikh Anta Diop of Dakar, Senegal (UCAD), School of Library, Documentation and Archives (EBAD) and previously a Bachelor in the same field at that same university. Arame is one of the founding members of the regional group of Africa and served in various IAMSLIC’s committees. Currently, she is acting as the representative of AFRIAMSLIC. She worked on a number of projects and initiatives related to marine information management in Africa ie IOC/ IODE/ODINAFRICA project and continues to serve on various boards, committees, and working groups. She also is a staff member-lecturer of Regional Training Center of Senegal developed in the framework of Ocean Teacher Global Academy program. Title: Development and Introducing to the new website project of the Regional Group of IAMSLIC for Africa-AFRIAMSLIC. Abstract: AFRIAMSLIC is the regional group of IAMSLIC for Africa. IAMSLIC provides a forum for sharing ideas and resources within the various aquatic and marine science disciplines. IAMSLIC has six regional groups: AFRIAMLIC, Cyamus, EURASLIC, Grupo Regional Latin America, Pacific Islands, and SAIL. AFRIAMSLIC aims to exchange and explore ideas and issues of mutual concern through cooperation within Africa and to build strong links with other national, regional and international aquatic and marine science libraries and information networks. To enhance communication and resources sharing among members of the group and increase better access to information resources, an AFRIAMSLIC website will be developed under WordPress and hosted by IAMSLIC. The basic framework of the website is already created. The next steps will be the configuration and customization of the site as well as addition of new contents. 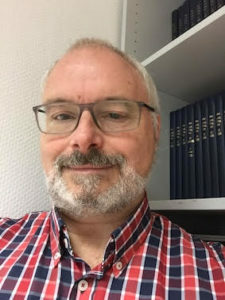 The paper will report on the success and the challenges in the development of the website..
Today’s Presenter Profile Series features Ian Stewart, Production Manager for Marine Ecology Progress Series, Inter-Research Science Center in Germany. Ian is the Production Manager for Marine Ecology Progress Series for which he also occasionally still finds the time to copy-edit/proofread articles along with those of other Inter-Research (IR) journals. Additionally, he is a member of the IR management team, overseeing the areas of rights and permissions, subscriptions and subscriber-publisher relations, Open Access fee waivers, and other administrative tasks. Ian is a qualified librarian with a former library career mostly in rare books and heritage collections. He has also served on the National Council of the Library and Information Association Of New Zealand Aotearoa (LIANZA). Abstract: Inter-Research is a small, single-owner publisher that produces 8 academic science journals of high quality and well-established reputation, in particular the flagship journal Marine Ecology Progress Series, which in 2019 will celebrate its 40th anniversary. To begin this session, I will briefly introduce Inter-Research and what it does, specifically the processes an article goes through from submission for peer review to acceptance and publication. For the second and longer part, an Open Forum: here is your chance to discuss directly with a publisher and together with your colleagues those burning serials issues. The long-term economic viability of subscription publishing models versus Open Access models, price rises, future relevancy of academic journals as an information source, copyright and distribution control—the possibilities for a lively and interesting discussion are endless. I already have questions for you. 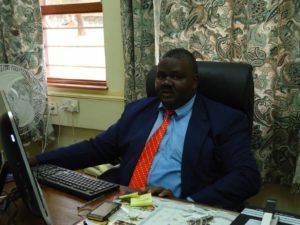 Today’s Presenter Profile Series features Geoffrey Francis Salanje, University Librarian at Lilongwe University of Agriculture and Natural Resources (LUANAR) in Malawi. 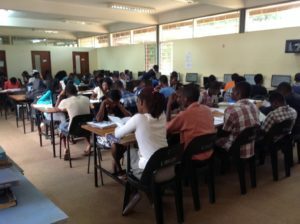 Academically and professionally, Geoffrey holds a Bachelor of Social Science (B.Soc.Sc, 1985) from University of Malawi majoring in Statistics, Management and Sociology; a Postgraduate diploma in Library studies (1988) from University of Botswana; and a Master’s degree in Library studies (MLS, 1992) from University of Wales – Aberystwyth. In his 32years’ career – all in an academic library, he has attended a number of special short courses, workshops, seminars, meetings, conferences, etc. Geoffrey has been a member of IAMSLIC and AFRIAMLIC since 2002 and 2003 respectively. 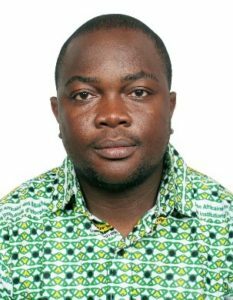 He first attended and presented a paper at AFRIAMSLIC biannual conference in Accra, Ghana in 2003 and in 2005 he attended and presented a paper for the first time at IAMSLIC annual conference held in Rome, Italy. Since then he has attended and presented papers at other IAMLIC annual conferences held in Portland, Oregon (2006); Sarasota, Florida (2007); Zanzibar, Tanzania (2011); Rome, Italy (2015) and Honolulu, Hawaii (2017). 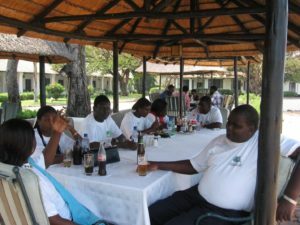 Geoffrey successfully organized and hosted a 3rd AFRIAMSLIC conference in 2007. Academic librarianship in an African country where he has spent his entire 32 years career! He is also ready to share with you the challenges librarians in Malawi face and prospects in the profession. He likes reading current affairs and biographies; listening to country and western music, watching soccer and comedies on TV. Occasionally he drinks a glass of beer but not quite often! So feel free to talk to him when you meet him in Entebbe, Uganda! Researchers in fisheries and aquaculture are located in various organizations and use aquatic and fisheries information available in different formats. Apart from these researchers, the country has also scholars, policy makers, teachers, extension workers and farmers who seek aquatic and fisheries information for various usages. Some of the uses of the information are literature review, teaching and learning, extension, planning, decision making, access to markets for farm produces and community education. Providing access to relevant aquatic and fisheries information involve a number of players such as librarians, communication and information experts and broadcasters. Access to the aquatic and fisheries information must therefore be timely and accessed in the right format considering that there is now advanced technology. The paper therefore discusses the various ways of accessing relevant aquatic and fisheries information with reference to Malawi taking into consideration the available technology and the location of the information users. The paper also outlines the challenges faced by those involved in providing the needed information. 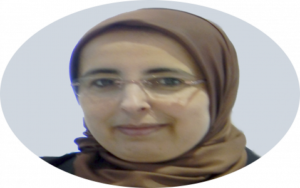 Today’s Presenter Profile Series features Bouchra Bazi, Head of Information and Documentation at the National Institute for Fisheries Research / Institut National de Recherche Halieutique (INRH), in Tangier, Morocco. Bouchra is responsible for documentation and dissemination of scientific information. She oversees the organization of the library and tracks the information needs of users. Bouchra assumes the various links in the information chain and coordination of databases such as ASFA / FAO. In her role, Bouchra participates in exhibitions and scientific events as well as organizes tours for student information and workshops. Title: Analysis of the documentary information of scientific and technical research of the Moroccan marine environment. Abstract: Since the beginning of the first decade of this century, the Moroccan scientific and technical media scene has witnessed a great development in the production of information favored by the evolution of information and communication technologies. The modernization and equipment in communication infrastructures of Moroccan institutions specialized in the production and the diffusion of the information contributed to the radiation of the research works in marine sciences. The results of these institutions’ efforts are presented in several products, in particular the portals of national institutes and documentation centers and their databases, which include their archives and archives of universities and scientific and technical institutes. This paper looks at the contribution of information and documentation systems in the creation and dissemination of Moroccan scientific and technical information in the marine environment. We will try to give a general overview of all existing Moroccan infrastructures and a detailed statistical analysis on the type of existing information, whether open source or restricted. Less than 2 weeks away until #IAMSLICUganda kicks off! Don’t forget to read our Presenter Profile Series to get a head start. Today we are featuring Mary Markland, Dave Baca, Kristen LaBonte, and Angela Clark-Hughes. Read below to learn more about these #IAMSLICUganda presenters. Mary J. Markland is the director of the Guin Library at the Hatfield Marine Science Center/Oregon State University in Newport, OR. Prior to coming to OSU Libraries in 2015, she spent many years working as an academic medical librarian. She holds an MA in Library and Information Studies from the University of Wisconsin – Madison and a BS in Biology from Iowa State University. Her research interests revolve around graduate students and library outreach. Social capital theories, information poverty, academic culture and networks, and graduate students. She is also working on collection development projects and would love to discuss reprint files, weeding, space planning and ebooks. Mary loves to travel and is always looking for new places to explore. Kristen is the Life and Environmental Sciences Librarian at the University of California, in coastal Santa Barbara. She joined IAMSLIC after being encouraged by her predecessor, Jim Markham, in 2012. During her first IAMSLIC conference in Anchorage, Alaska, Kristen became the Membership Database Manager and in 2014, Kristen became the Treasurer. In her position at UCSB, Kristen is a reference and instruction librarian and is the faculty and student liaison in the departments of Biology, Environmental Studies, and Environmental Sciences and Management. Prior to her current position, Kristen was the Digital Resources and GIS Librarian at the California State University, Channel Islands campus where she was involved in research with humpback whales. Natural history, culture, disaster preparedness, travel, food, music, organizing with labor unions or just about anything! Kristen is a “foodie” and is especially fond of traveling to different countries and enjoying unique cuisine. She has recently traveled to Japan multiple times and has fond memories of temples, nature, food, and hot springs. She hopes to return again this November and has been studying the language and researching the best places to view the fall foliage. If you are a grant recipient, you will want to touch base with Kristen about reimbursement procedures. Angela Clark-Hughes is a Librarian Associate Professor and the Head Librarian of the Rosenstiel School of Marine and Atmospheric Science (RSMAS) Library at the University of Miami where she has worked for the last 12 years. She is responsible for all access and informational services; collection management and development, as well as maintenance and processing of RSMAS’ special collections and archives. She is also responsible for research consultations and instructional services, and currently co-teaches a graduate course on data management in a research environment. She enjoys interacting and collaborating with the members of the RSMAS community by volunteering on research trips, and she serves on various boards, committees, and working groups. Angela holds a BS in Psychology from Georgia State University, and a MLIS from Simmons College in Boston, Massachusetts. She is a member of Beta Phi Mu, Beta Beta chapter, a member of SAIL, the current chair of the IAMSLIC Bylaws Committee (2015-2017), and a member of the Society of American Archivists (SAA). You can read his bio from our earlier blog post here! Abstract: Disasters strike every area of any country and affect libraries, large or small. From a water leak to something big like an earthquake, hurricane or fire, libraries need to have a plan of action for an effective response. Our panel discussion will include librarians who have survived disasters along with others who live in potentially hazardous areas. We will discuss disaster plans from a number of institutions of different sizes, collections and budgets as well as provide some best practices and resources for creating or updating your own plan. Today’s Presenter Profile Series features Cheikh Ibrahima Sakho from the Mauritanian Institute of Oceanographic Research and Fisheries (IMROP), Mauritania. Read below to learn more about one of this year’s #IAMSLICUganda presenters. I started work at the IMROP at 1988, as a fisheries scientist technician. At 1990, following the need for restoration of the library, I moved to the Information and Communication department. In addition to library work, I deal also with communication to general Public (research outreach). I’m a graduate of a Master of Science on “Scientific and Technical Communication” (Unervisté Stendhal Grenoble 3, France) in 2009. I am currently working as the Head, Communication and Information Centre at the Mauritanian Institute of Oceanographic Research and Fisheries (IMROP). How the medias (TV and Radio specially) can contribute to share oceanographic science to no specialist people (Fishermen, decision makers, coastal inhabitants, etc.) regarding the latest development of medias and the emergence of a new class in Africa : Science specialized journalist. Title: Inside the Scientific Paper. The researcher has a crucial relation with the scientific publication. It’s indeed through the scientific article that he communicates the results of his investigations, and it is also through the same paper that he is evaluated and in fact the evolution of his career is there profondly dependent. During a long period editing and sharing knowledge was assured on one hand by oral way (conferences, seminars, etc.) and on the other hand by way written in the form of academic publications (reports, theisis) and scientists contribution to books. Besides, this written production was published by scolar society (University, research institution, etc.) and commercial publishers, who over the years, took an almost monopoly of the scientific papers publication and built a powerful economic empire very binding and putting marginally alarge part of researchers worlwide. However, the development of computing and the electronic networks begun ath the beginning of 1960-1970 years, and keeps perfecting in our days, opened new opportunities for other more democratic forms of sharing scientific knowledge. This presentation tries to redraw the various stages evolution of the scientific publications and to reveal their bottoms and particularities. Le chercheur a une relation cruciale avec la publication scientifique. C’est en effet à travers l’article scientifique qu’il communique ses résultats et c’est également à travers ce même article qu’il est évalué, en somme l’évolution de sa carrière y est profondément dépendante. Pendant une longue période la diffusion des connaissances était assurée, d’une part par voie orale (conférence, séminaires, etc.) et d’autre part, par voie écrite sous forme de publications académiques (mémoires, thèses, etc.) et scientifiques (contribution à des ouvrages). En plus, cette production écrite était publiée par des sociétés savantes (institutions de recherche, université, etc.) et des éditeurs commerciaux, qui au fil des ans, ont pris le quasi-monopole de la communication scientifique et en ont bâti un puissant empire économique très contraignant et mettant à la marge une bonne partie de chercheurs à travers le monde. Cependant, le développement de l’informatique et les réseaux électroniques amorcé au début des années 60-70 et qui continue de se perfectionner à nos jours, a ouvert de nouvelles opportunités pour d’autres formes plus démocratiques de diffusion de la science. Cette présentation essaye de retracer les différentes étapes évolutives des publications scientifiques et d’en dévoiler les dessous et les particularités.